Double coated tapes are used in the Point-of-Purchase industry for building POP displays and mounting promotional signs and graphics to a variety of surfaces. LAMATEK custom cuts mounting tape for POP with various adhesive options including all-purpose interior grade tapes, removable adhesive tapes, and industrial strength attachment tape. Double coated tapes are available in rolls, kiss cut pieces and pads or die-cut dots, hexagons and other custom shapes. Foam mounting tape is available with a wide variety of foam and sponge carriers. The foam is double coated on both sides with high tack rubber adhesive, removable adhesive or permanent acrylic for outdoor signs and graphics. 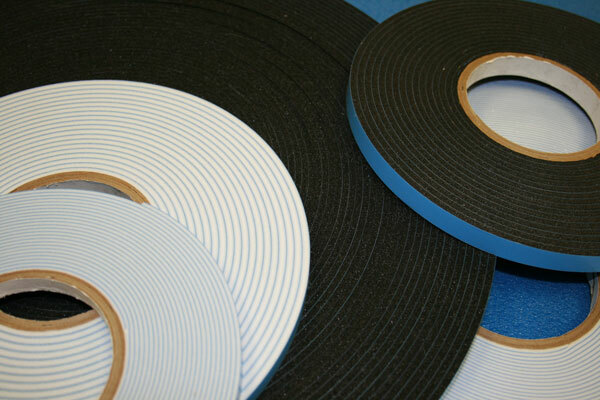 We also carry double sided mounting tapes with excellent UV, liquid and plasticizer resistance. LAMATEK’s double coated point of purchase tapes are easy to apply by hand or with an automatic dispenser.